Crown of Queen Elizabeth is a pure silver holographic lacquer. A royal treat for your nails, this color exudes the timeless charm of platinum. 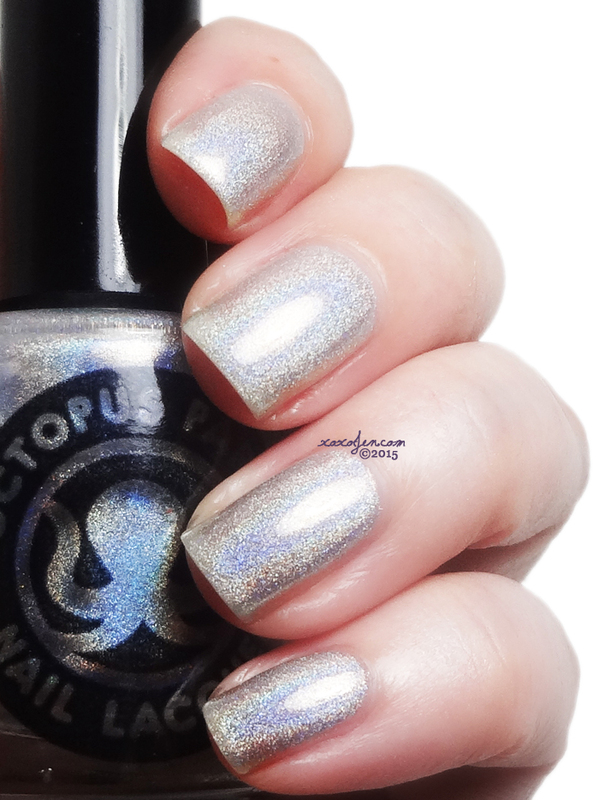 The formula was very nice and I think sheer enough that it would also work well as a holo topper. I haven't tried it myself yet, but I may with the next Creme A La Mode box! The polish is opaque in 3 coats as shown in the photos. This polish and others will be restocked on Sunday Dec 13, at 5pm Central at the Octopus Party Nail Lacquers at their Etsy store. That's a very pretty color.